Gain access to Big Man on Campus PLUS over 50 other expert-designed fitness plans. Get ready for the education of your life. Steve Cook will teach you to lift, eat, supplement, succeed, and grow. Learn the muscle-building basics and become the Big Man on Campus! 30 seconds rest between supersets. 60 seconds rest between supersets. 4 rounds, no rest between sets. 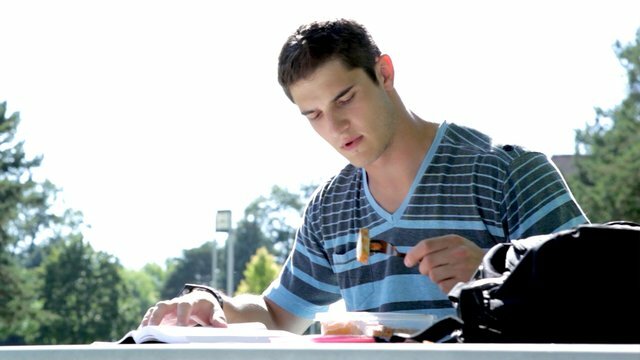 Learn to successfully manage fitness, prioritize academics, and save time for fun so you can get the most from college life. Proper nutrition is a crucial component of building muscle. Pack on size like a pro with the Big Man nutrition plan! Big Man on Campus has already changed thousands of lives. Here's what those who followed it have to say. I can tell you this: this program is very efficient! I am seeing some insane results after only five weeks. I started as a complete gym beginner with a very low amount of muscle. I currently lift way more than day 1 and my body is starting to look absolutely ripped. I have to thank you Steve, this workout is absolutely legit. Finished this program! It was awesome. I got bigger and a lot stronger. Didn't think I'd last a week, lol.